Since 1956, The Middlebury Ski Club has been teaching young skiers to enjoy the sport of skiing and helping them excel in their efforts toward competitive success. 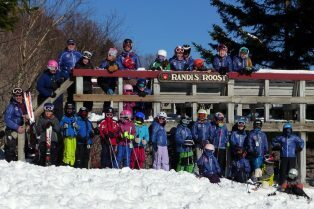 The Middlebury Ski Club is a non-profit organization of families and friends with the common goal of promoting healthy activity through alpine skiing and of supporting and developing skiers and ski racers. The Club’s mission is to provide a fun and safe environment in which youngsters can develop as people and achieve their personal skiing goals. To achieve this, the club focuses on developing strong fundamental skiing skills, understanding of the mind and body aspects of racing, promoting commitment, hard work, and sportsmanship. The Ski Club offers a non-competitive Mountain Team program and a Racing Team. Skiers ages 6-16 are welcome and families can join and enjoy the social benefits of being part of a club that enjoys skiing at the Snow Bowl.